Traveling with kids… between the countless bathroom stops and dodging the “are we there yets?”, no wonder simply thinking about the trip exhausts you. 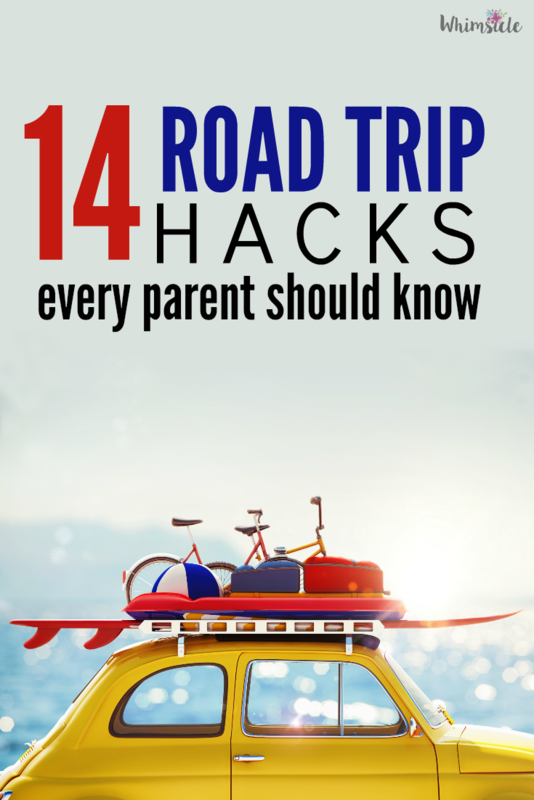 You desperately need some family road trip hacks. If you are flying, you’ll want to use these flying hacks. Is this what it’s like in your car? Oh my goodness, how did our parents do it? No worries. Here are the travel hacks we use to ensure our road trip has the best possible chance of success. You’ve seen pictures of crazy back seats, yes? One thing that drives me crazy is when my kids leave trash when they get out of the car. While at the dollar store, pick up a few of those plastic trays. 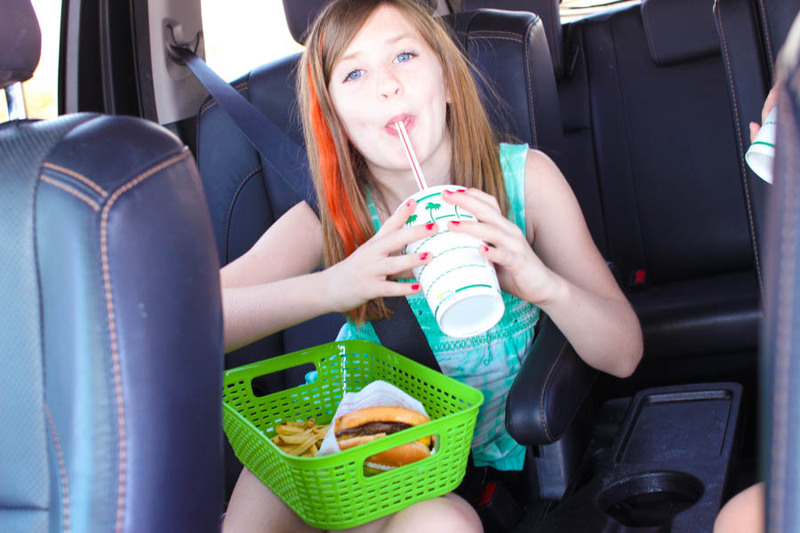 They work perfectly for eating in the car and are one of my favorite travel hacks for tweens! They get to eat in the car and you get no french fries on your floor. (Thank you to Lindsay from Let Me Give You Some Advice)! If the beach is part of your vacation plans, pack your baby powder! Why? When you get ready to hop back in the car and sand sticks to your legs and feet, sprinkle on a little bit of white stuff. The talcum will absorb the moisture – making the grains of sand easy to brush off. You’ll be prepared for any minor cuts or scrapes. Pack one of these bags in your suitcase and one for the car. Now, you never have to deal with “hangry” family members again. Here are some healthy travel snacks if you need ideas. 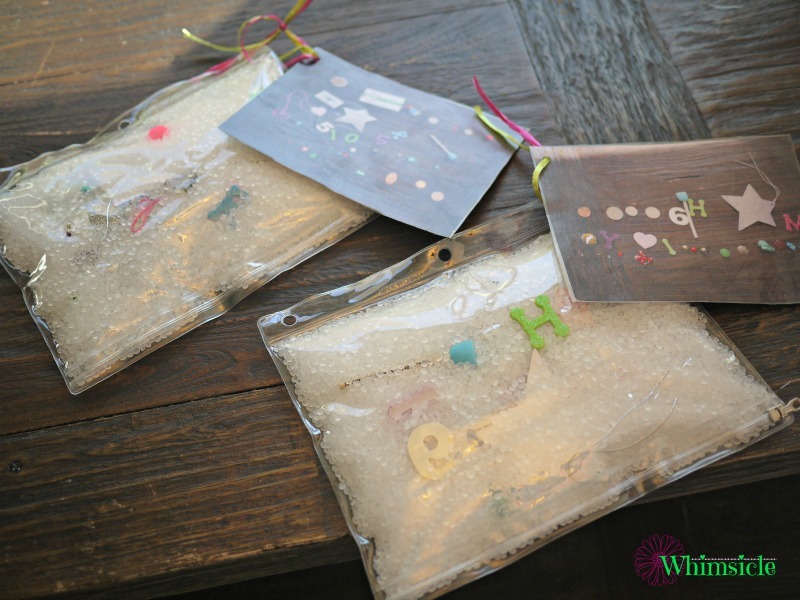 Gather lots of little trinkets, take a picture of them and then place them in your very own “I Spy” bag. Find instructions to make one here. 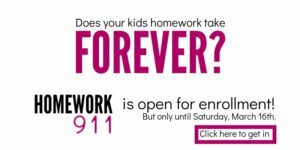 Another awesome mess-free car activity. Make your own art case that houses paper and colored pencils in one convenient place. Take this with you into restaurants for instant entertainment while waiting for your food. 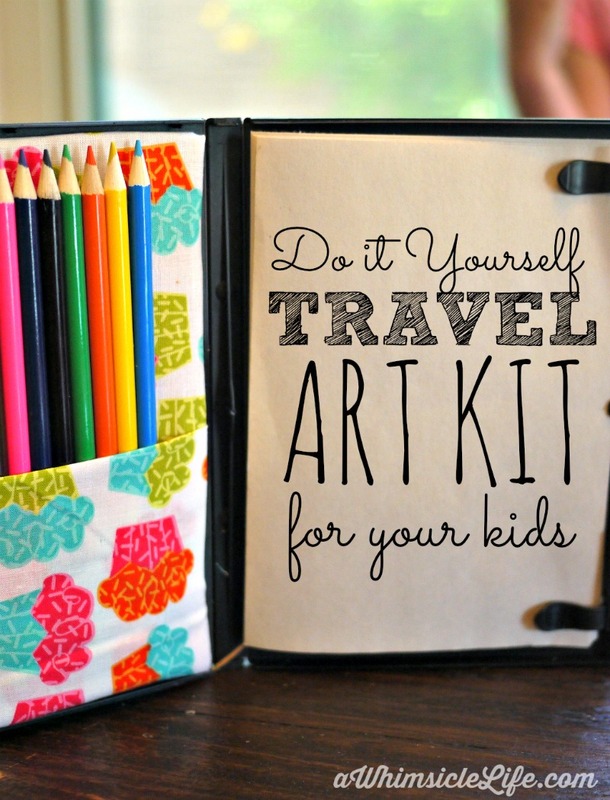 Instructions for your DIY Kid Travel Art Kit can be found here. 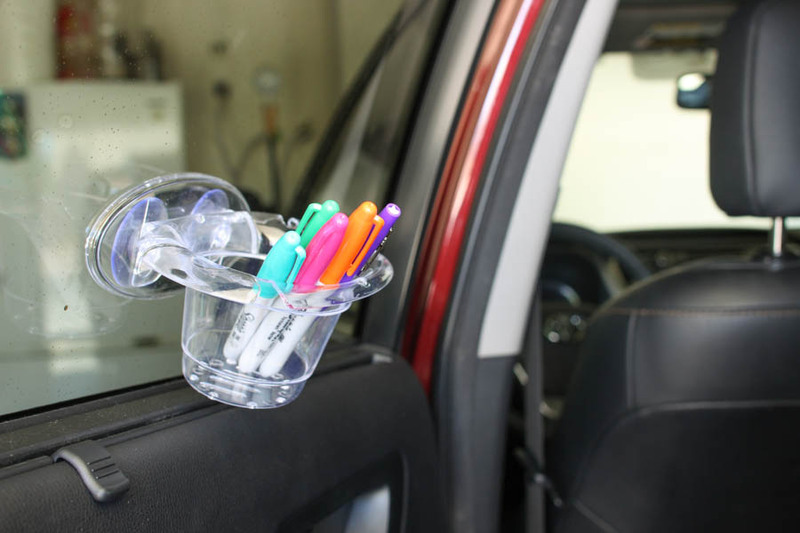 Speaking of organization, pick up a suction cup holder from the dollar store for kids to stash supplies while on the road. Simply push onto the window and voila! Hate all those loose coloring books? 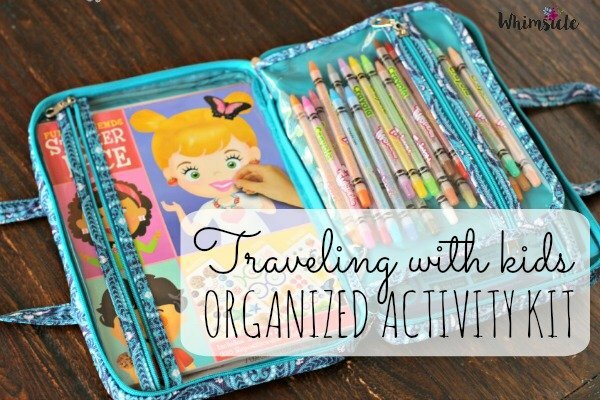 Use a makeup organizer for a Kid’s Travel Activity Kit. Download the Sit or Squat App for Android or Apple. 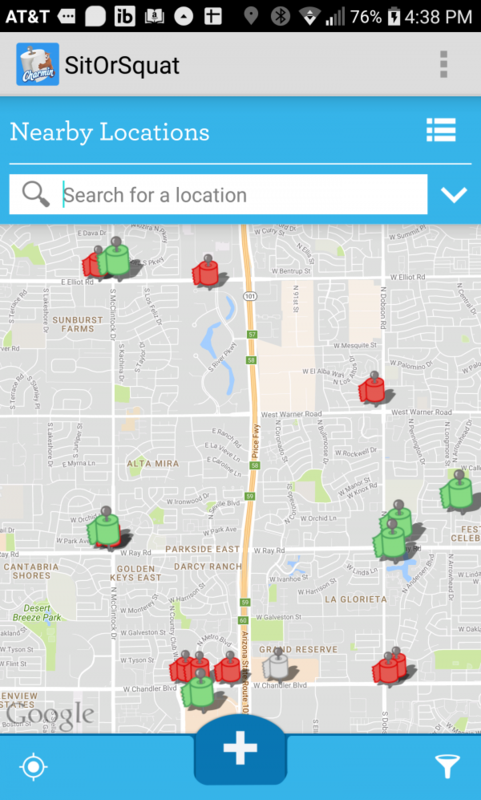 The app finds your location and lists all the public restrooms near you. A green toilet roll means it’s clean. A red roll means it could be better. Print out a map of your route using Google Maps or your favorite map program. Insert into plastic report sleeves from the dollar store and let kids chart the trip with dry erase markers. Hate grody cup holders? 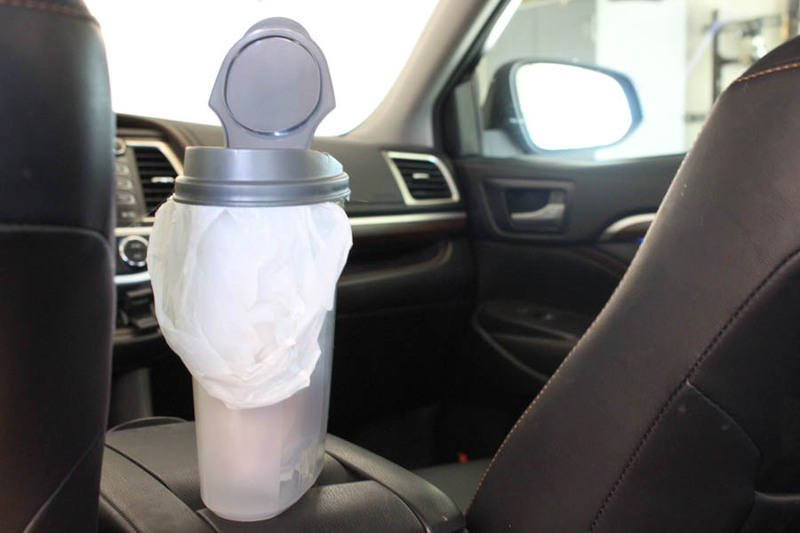 Grab a silicone cupcake wrapper, insert in cup holder and you’ve created an easy-to-clean place for any spills. Get ready for the road with these road trip games for kids. Also, your local dollar store might have some dry erase road trip bingo. Feel ready for your road trip? Now that you know how to organize, keep the car clean and keep the kids entertained, you’re ready to drive. Where are you going? Leave me a comment below and tell me where you are heading on your next road trip! OMG! These road trip hacks make traveling with kids so much easier. 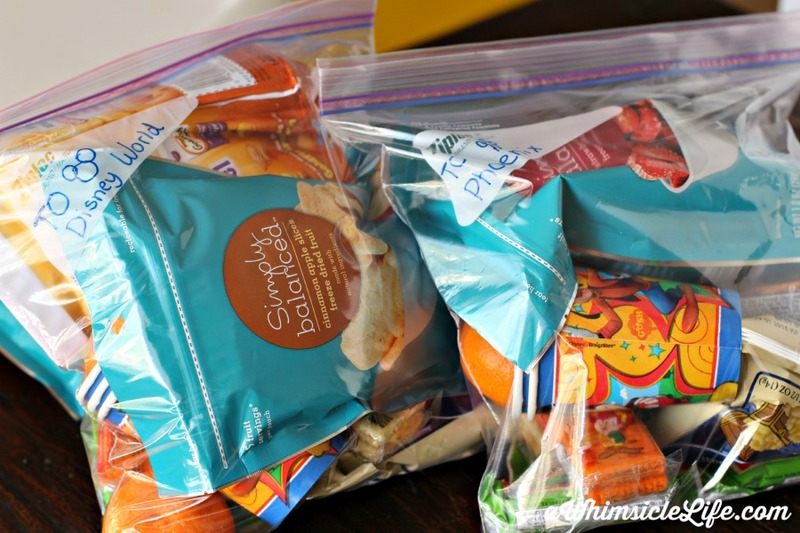 Activities and snack ideas to survive that long car ride. Love these ideas. Traveling with 4 kids is not fun. I always wonder what I did when I was little because my kids don’t ever let their tablets out of their hands. My almost 3 year old is another story. Thank goodness our plane ride to MN was only 2 hrs 20min. Thanks for the tips!